Our custom-designed Kindergarten Blue Modern Guam Seal Graduation Sash or Stole makes a classy statement at the special event of your special graduate. Order this today and be ready to represent at your event! This sash is sized for kindergarten graduates. 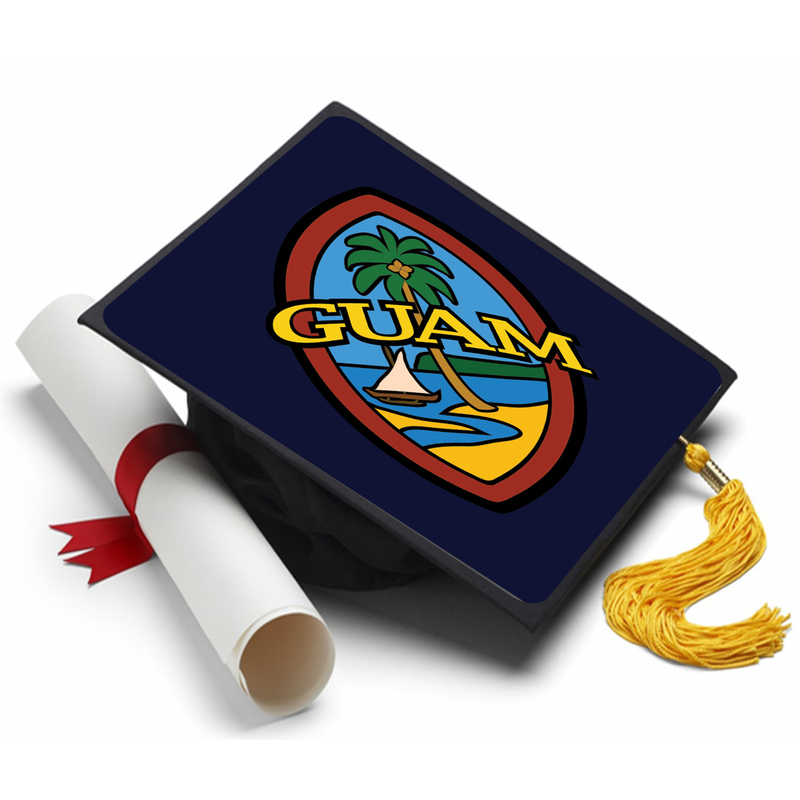 The sash above may go well with this Modern Guam Seal cap topper below (does not include the graduation cap or diploma). Click image to jump to this product to see details or to order. Product is warranted against manufacturer's defects.